I've written eight books on such subjects as making corporate acquisitions, lawyering, negotiating, mediating, counseling, ethics and professionalism. 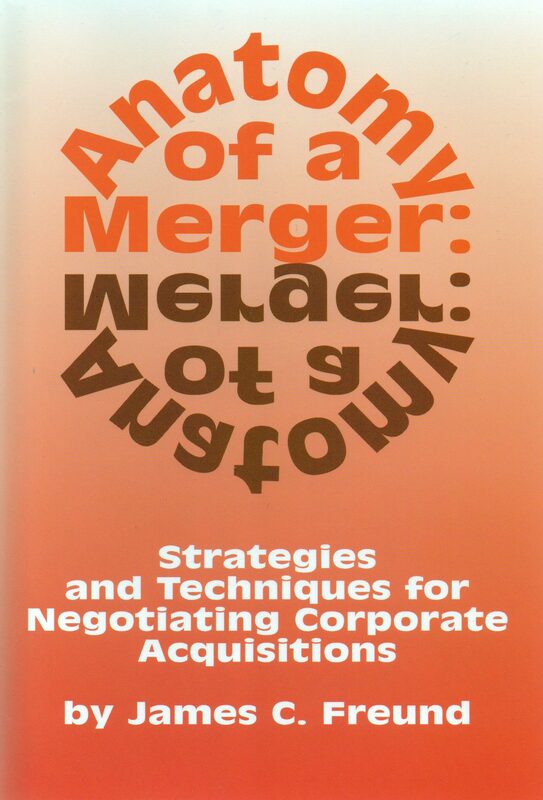 The first, Anatomy of a Merger, was published 39 years ago in 1974. 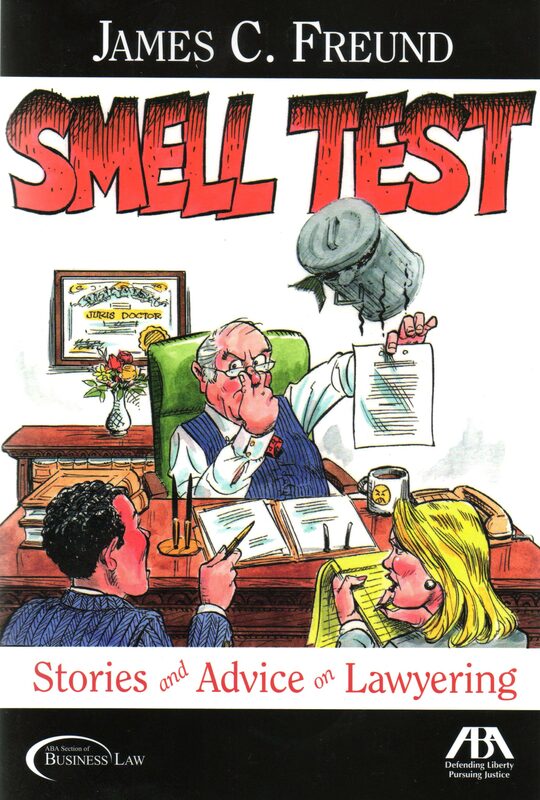 The next to last, Smell Test - Stories and Advice on Lawyering, was published in 2008 by the American Bar Association and marked my debut as a writer of fiction. 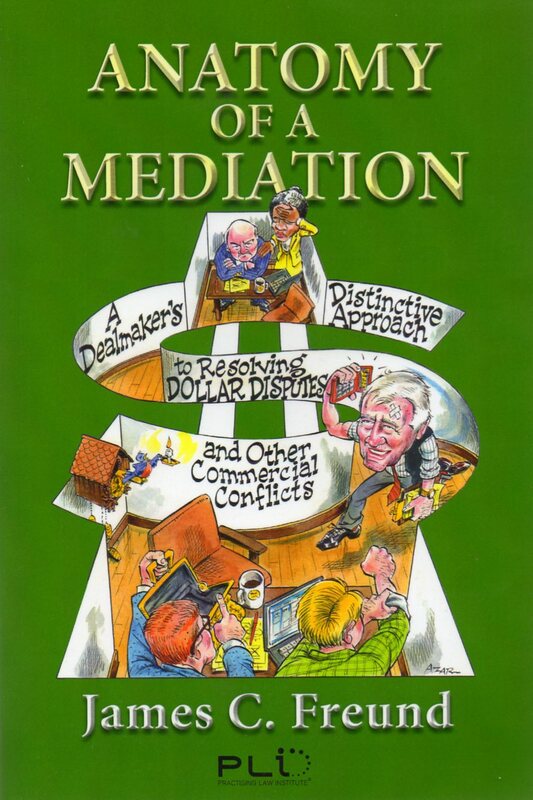 The most recent is Anatomy of a Mediation - A Dealmaker's Distinctive Approach to Resolving Dollar Disputes and Other Commercial Conflicts, which was published in 2012 by the Practicing Law Institute. Each of the books is described in more detail below, which you can access by clicking on the book's title below the cover. I've had a long-term affiliation with PLI – the Practicing Law Institute in New York. In addition to chairing and participating in their educational programs, I created, acted in and narrated a number of PLI videos. I'm particularly proud of these three. 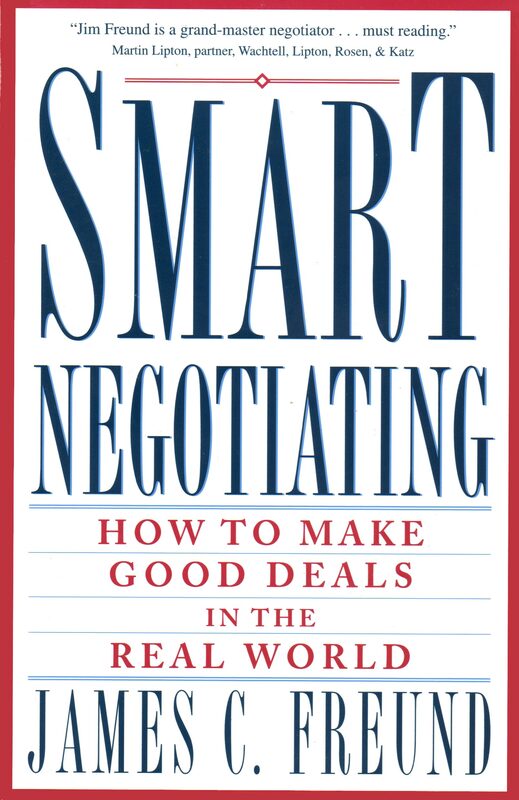 The most comprehensive resource on ever developed specifically for attorneys, Jim Freund's SMART NEGOTIATING for LAWYERS is an invaluable resource for training law firm associates and corporate counsel in this essential lawyering skill. This Practising Law Institute set of four video cassettes, featuring simulated lawyer-to-lawyer and lawyer/client exchanges punctuated by Freund's insightful commentary, comes complete with Jim's best-selling book, Smart Negotiating: How to Make Good Deals in the Real World, and his special training manual for discussion leaders, designed to maximize the educational values of the videotapes in group sessions. Here are all the inside techniques and tactics for making deals, negotiating contracts, and resolving disputes both directly and through mediation. And the icing on the cake is The Lawyer's Report Card – a special interactive video which enables viewers to test their evaluation of how effectively the actor-lawyers are negotiating or handling their clients against Freund's own in depth analysis. Your organization can't afford to be without this newest addition to the Practicing Law Institute's video library – SMART NEGOTIATING for LAWYERS. "Grand master negotiator Jim Freund has done it again.... Must viewing for every lawyer involved in doing deals or resolving disputes." "Ideal for teaching lawyers how to negotiate business deals and resolve disputes to keep their clients happy. 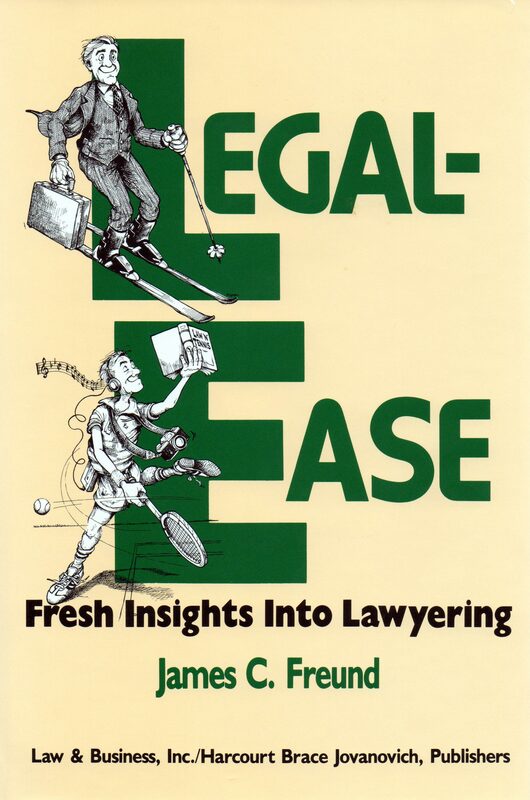 I heartily recommend it for both inside and outside counsel." 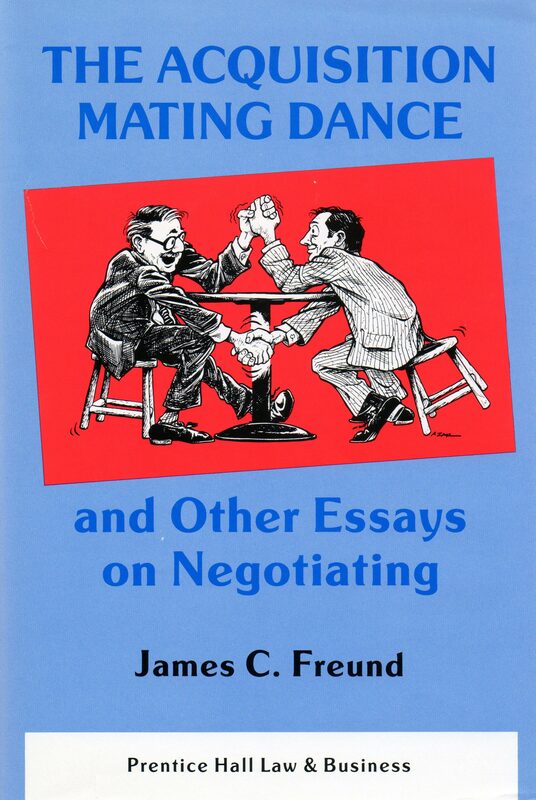 "Jim Freund's course on negotiating is the best I have viewed on the subject in any medium.... I have no doubt it will become a staple in law departments, law schools, and law libraries all over the country..."
"...Insight into the best negotiating practices...I recommend this tape highly." "A remarkable tool, accessible and engaging.... Should be in the library for every large firm and county bar association." "Jim Freund's videotape course provides an excellent foundation for the in-house counsel to enhance essential negotiating skills." "Jim Freund is one of the leading business law negotiators of our generation with incredible skill in teaching others to improve their skills." To achieve success, asspciates must learn to deal effectvely with difficult situations. In this 1991 studio-produced videotape presentation, Freund graphically dramatizes ten of the stickiest situations an associate comes up against – involving partners, other associates, clients or adversaries. 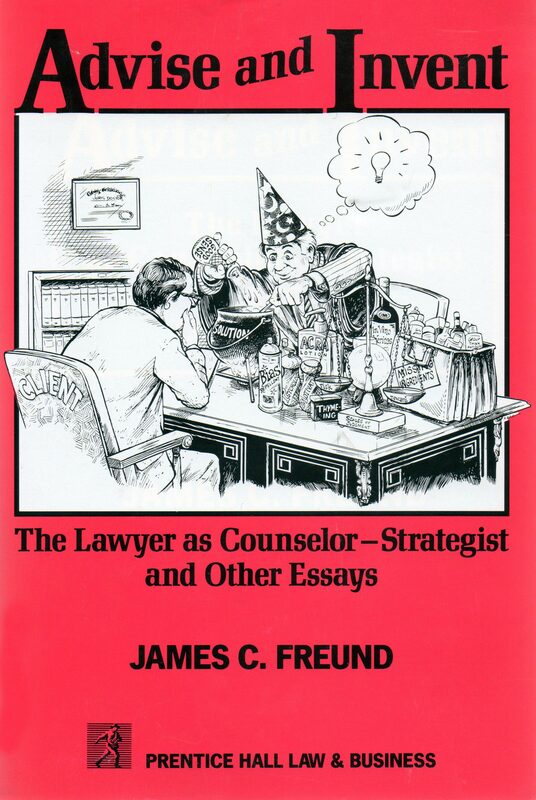 In collaboration with five Skadden associates, Freund's technique is first to depict just how an associate might mishandle a particular situation, and then, after analyzing the associate's performance and commenting on the issues, to illustrate a constructive way to handle matters. Take advantage of this opportunity to develop a knowledgeable approach to issues of daily importance to your career or the careers of those you manage. This studio-produced videotape dramatizes, in a graphic depiction, twelve of the most common mistakes lawyers make in dealing with their clients – mistakes the lawyer may not even realize he or she is making! 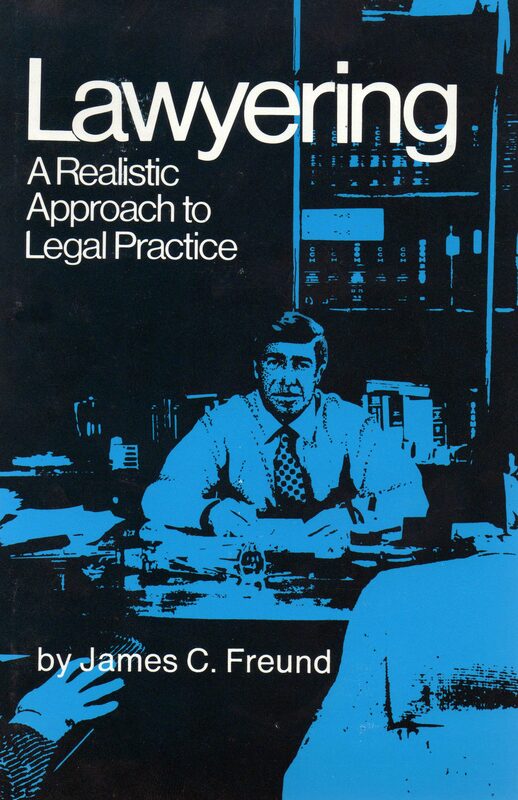 Through a simulated lawyer-client interaction, Freund illustrates the common mistakes, analyzes the particular error and concludes by demonstrating an appropriate way for handling the situation. Freund stresses positive steps to cement the relationship, including: Being available to the client; pursuing the clients objectives, being constructive; in facilitating the client's goal; balancing and distinguishing between the need to empathize with the client and offering dispassionate advice; documenting advice given to the client; keeping the client informed of difficulties that arise while working out a problem. Copies of these are available through the PLI website pli.edu or by calling 212-824-5710.